The aquatic fragrance of Lotus -refreshing and very floral - with background notes of Lily of the Valley. 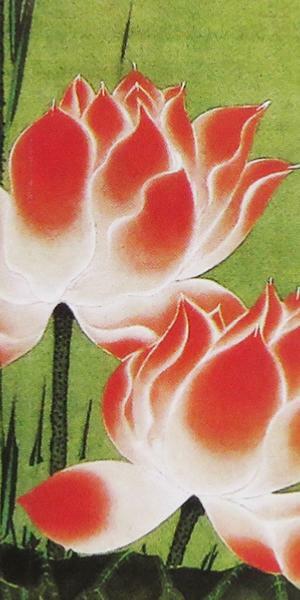 In classical Asian literature, the fragrance of the Lotus is linked with elegance, beauty, perfection, purity and grace. In most Asian religions their gods and deities very often depicted sitting on a Lotus flower. In Buddhism the lotus represents the purity of the body, mind and speech. Hindus revere it and associate it with the divinities Vishnu and Lakshmi. This is considered to be a very feminine fragrance. This fragrance (Bulgarian Rose) is also available in a large box of 360 sticks – Japanese Incense Sticks | Nippon Kodo | Kazedayori Summer (Lotus) | 360 Sticks - stocked by Vectis Karma. See Nippon Kodo ‘Large Box’ section of the shop for more details. Much care has been placed in the design of the Koh-Do boxes – all based on Japanese masterpieces. This echoes the importance the Japanese place on incense burning or ‘listening to incense’. Koh-Do is considered to be one of the ‘Geido’ or Fine Arts in Japanese culture, along with ‘Ikebana’ (flower arranging), ‘Shodo’ (Japanese calligraphy), ‘Sado’(Japanese Tea ceremony), ‘Yakimono’ (Japanese pottery) and ‘Noh’ (traditional Japanese theatre). Best incense ever. Smells amazing. Scent lingers on for hours! Love this aroma. Its so fresh and clean. Such a beautiful aroma when lit. If your looking for a fresh clean smell, this is fantastic. Friends have all said how beautiful it is.